Identity theft is a largely silent crime, as it can be months before you even realize you have become a victim. 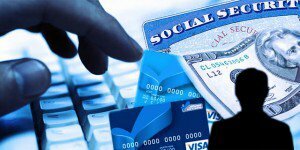 But the effects of identity theft can be long lasting, including having difficulties buying a home, car, or even obtaining a security clearance. It may seem as though there is no solution to your credit report problems, however there are things you can do to get your life back in order. If you are suffering through inaccurate credit reports in Fairfax, please feel free to contact our credit report dispute attorneys for information or assistance at (571) 313-0412. If you live in Fairfax County and have been the victim of identity theft, you should contact the non-emergency number for the Fairfax Police Department, (703) 691-2131 to report the identity theft. You should also keep a copy of the police report so that you can provide it to creditors, furnishers, and credit reporting agencies. If you have discovered identity theft related accounts, you should also contact each of the three major credit reporting agencies, place a fraud alert on your credit file, and obtain a copy of your credit report. Examine your credit reports from Experian, Equifax, and TransUnion to find any information that does not belong to you. When you find these inaccurate items on your credit report, you should write a formal dispute letter to the credit reporting agency that reports the inaccurate information. Your credit dispute letter should detail exactly what is incorrect on your credit file, why it is inaccurate, as well as include supporting documentation. Keep a record of your letters, credit reports, and anything you receive in the process of your investigation. Credit reporting agencies have a responsibility to consumers to keep their records accurate and to investigate properly credit disputes. Even so, agencies will sometimes keep inaccurate information on your credit file, or refuse to delete incorrect data. When this occurs, your next step should be to contact Blankingship & Christiano, P.C. at (571) 313-0412.